Your evening’s entertainment will account for a large portion of your special day so making the right decision is vital. Here at PA Entertainments we offer fully trained, experienced DJs to ensure we can tailor to suit your exact needs. 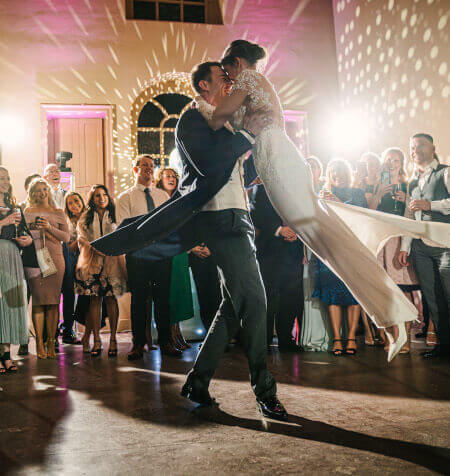 We understand the importance of personalising your wedding entertainment so we will be in touch prior to your big day to discuss personal choices and specific requests, for you and your guests, enabling you to relax and enjoy your evening. Have a browse below at our optional extras to add the finishing touches to your big day. Please feel free to contact us for information about our prices and packages or any other specific requests that you have. Looking for the 'Wow Factor' at your wedding or event? Our freestanding, large, white LOVE sign letters will surprise all your guests and be a talking point of your party for weeks after. Each letter is free standing at 4ft tall making for a great photo opportunity. 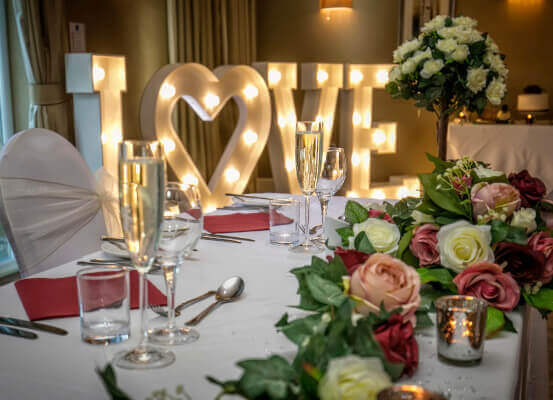 The hire of our LOVE letters includes delivery to your venue, set up and collection and can be hired solely or part of one of our many packages. Contact us for more information. Hire prices start from just £99. 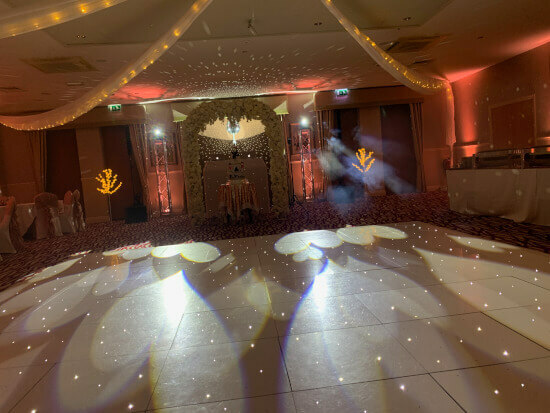 To create a magical, romantic ambience for your wedding reception, these stunning starlit dance floors will create the most amazing backdrop for your first dance and celebrations. Delivered and installed by competent dance floor technicians, guests just love to dance on this amazing show piece! Available in black or white. Prices are available upon request (various sizes available). 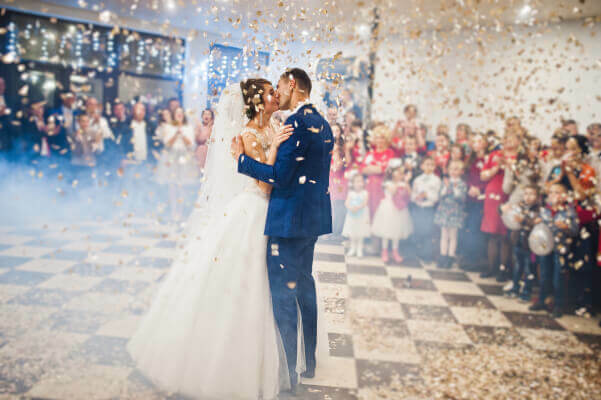 To add a touch of magic to your romantic first dance, this stunning confetti will fill your dance floor creating a breathtaking moment for your guests and amazing photograph and video opportunities. These cannons are made for professional use* and are safe to use both indoors and outdoors with a choice of colours, including red, white and pink hearts. If you are interested in adding this extra special touch to your package, contact us today. First Dance Confetti prices start from just £25. *only available with a PA Entertainments DJ. 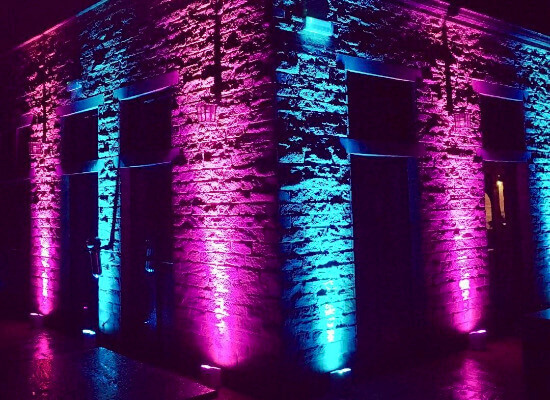 Why not enhance and compliment your venue with attractive and vibrant colours to match your theme and style with the hire of our beautiful LED Uplighters? Serving as a stunning background for wedding receptions, LED Uplighters are also great for stage area performances for bands and DJs too. LED Uplighter packages start from just £50 per day. Brilliant from start to finish, couldn't recommend highly enough. Phil & Adam are brilliant, approachable, friendly and play the best music. You won't get better. Thank you! Great service from booking, right through to the final song. They played everything we asked for and constantly had the dance floor full. Superb service. Would definitely recommend these guys! Excellent service from the initial enquiry to the actual event. Would definitely recommend, thanks guys! Awesome entertainment from the first to last dance.